The ultimate times two. 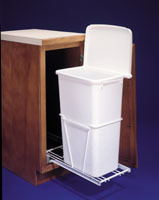 A full 70 quart capacity from the 2 - 35qt white polymer bins that drop in for easy cleaning. 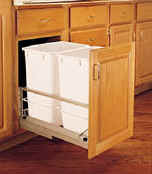 Heavy duty aluminum frame, slide system allows for full adjustment of door mounting system. 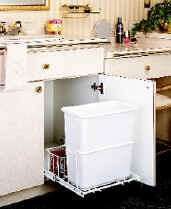 Requires 15" wide, 20" tall opening, unit is 22" deep. 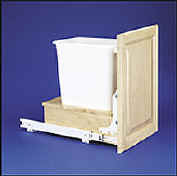 Second container is perfect for recyclables.